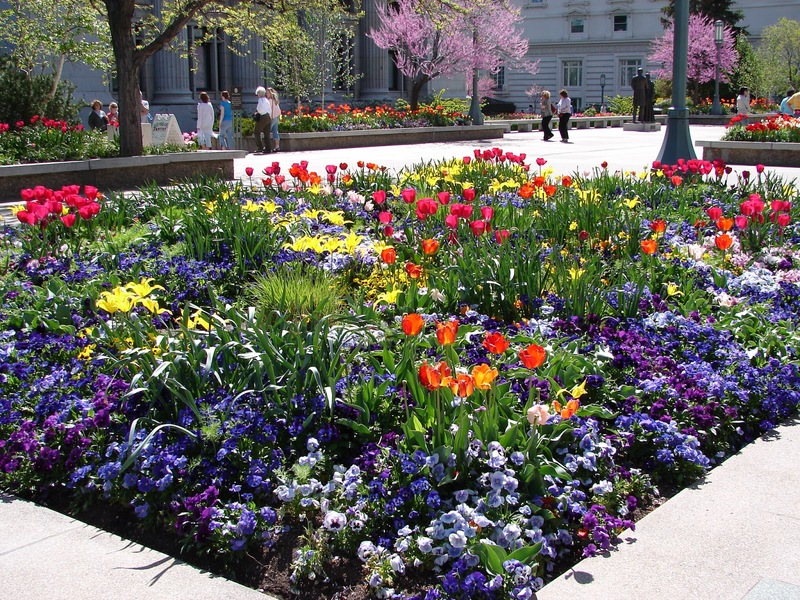 New Utah Gardener: Annuals For The Spring Garden In Utah - When Can We Plant Pansies, Ranunculas, English Daisies and Johnny Jump Ups? Annuals For The Spring Garden In Utah - When Can We Plant Pansies, Ranunculas, English Daisies and Johnny Jump Ups? March is the time to plant spring-flowering annuals among your spring-flowering bulbs (the tulips, daffodils, crocus and hyacinths that you planted in October). Some excellent choices for spring annuals are pansies, ranunculus, English daisies and johnny jump ups. *These plants are temporary - they thrive and flower like crazy in the cool weather. But as soon as it gets hot (May on the Wasatch Front in Utah) they shut down. Then it's time to remove them and plant summer annuals for warm weather color, like petunias, marigolds, geraniums, etc. *The cool-weather-loving annuals can tolerate cold nights and spring frosts. The summer annuals cannot. They must be planted after our average last frost date - somewhere around Mother's Day or May 10.